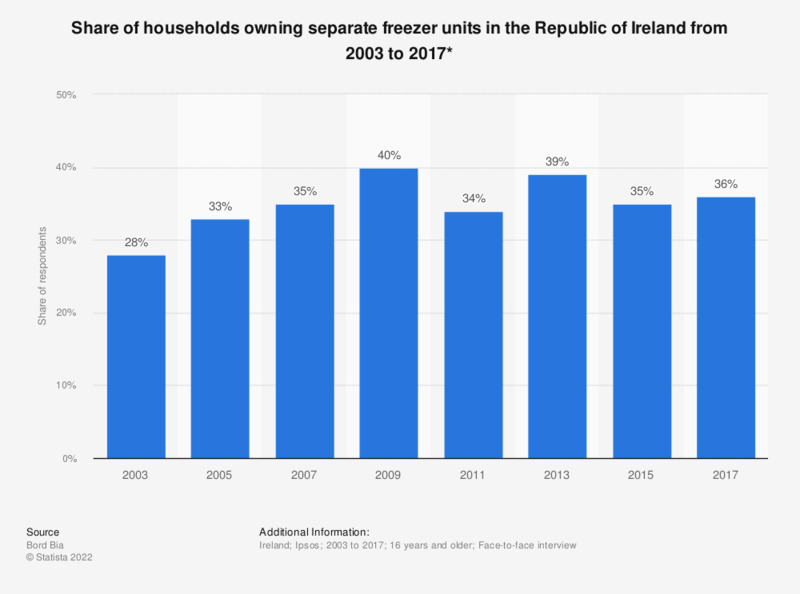 This statistic demonstrates the share of households owning separate freezer units in the Republic of Ireland from 2003 to 2017. Over the time period observed, the share of respondents owning separate freezer units has risen from 28 percent in 2003 to 36 percent in 2017. * The source conducts a survey every two years in which respondents are asked "Which of the following do you have in your home?". The date of survey and number of respondents is dependent on the year of survey. In 2017 the survey included 1,004 respondents from the Republic of Ireland and was conducted between March and April.